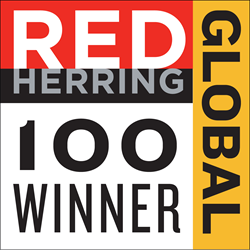 CloudOne today announced it has been named to Red Herring's 2016 Top 100 Global list, a recognition honoring leading private companies from North America, Europe, and Asia for their innovations and technologies across their respective industries. The Top 100 Global winners were announced at a special awards ceremony on November 17, 2016. CloudOne is an IoT Solution Enabler that connects your data across your business. Through a combination of technology & services, our team of expert’s partner with you to assemble, deploy, manage and advance your ideal Internet of Things solution in a secure, virtual private cloud. For more information, visit http://www.oncloudone.com or follow CloudOne on Twitter (@OnCloudOne) or Facebook (http://www.facebook.com/OnCloudOne).